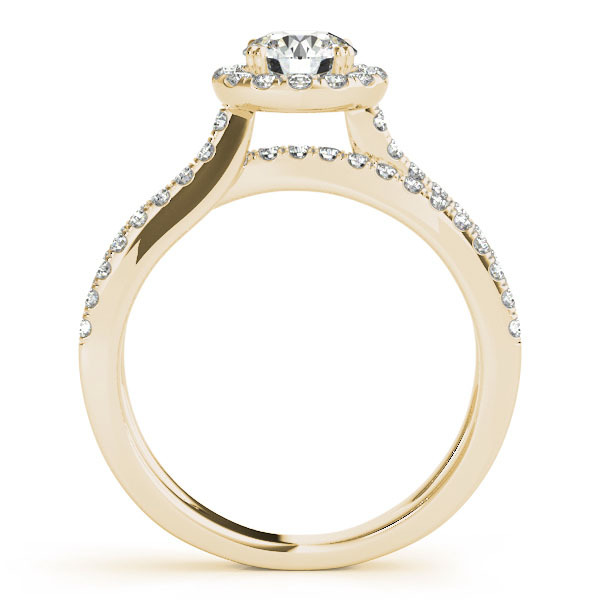 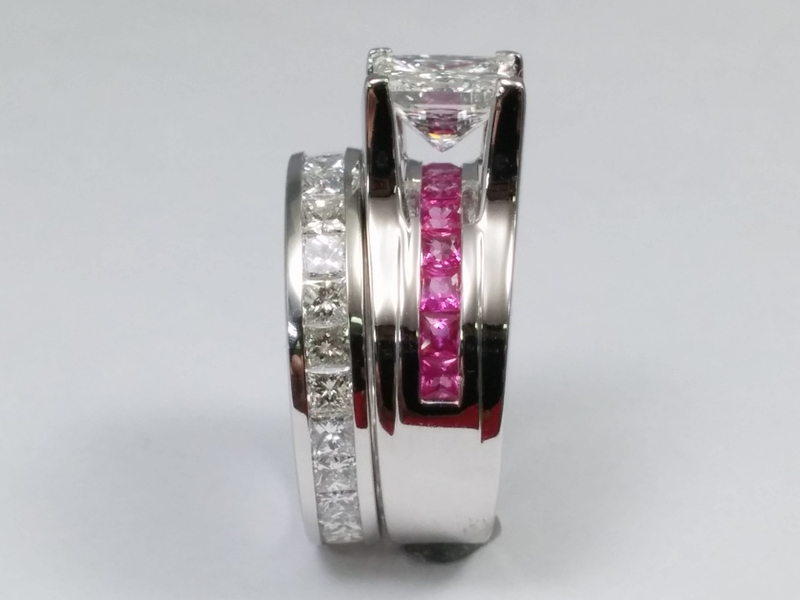 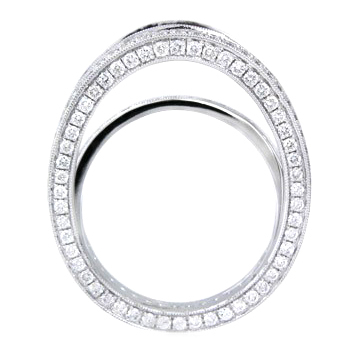 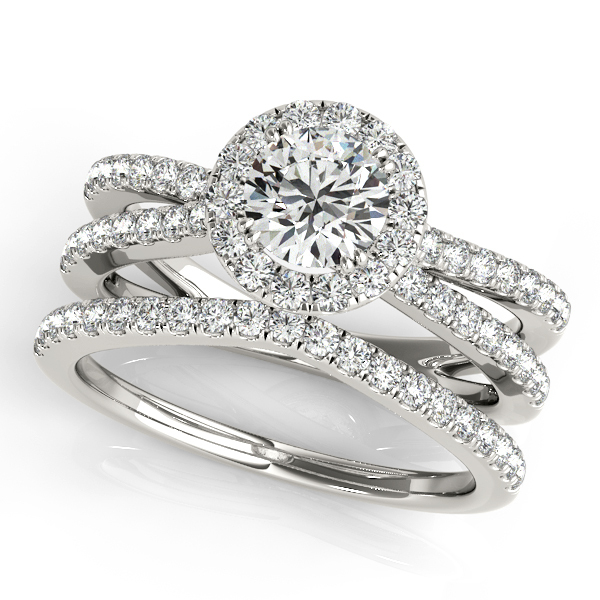 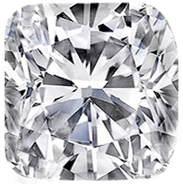 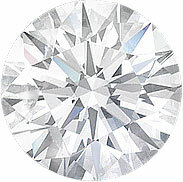 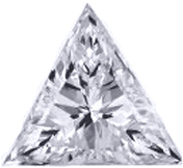 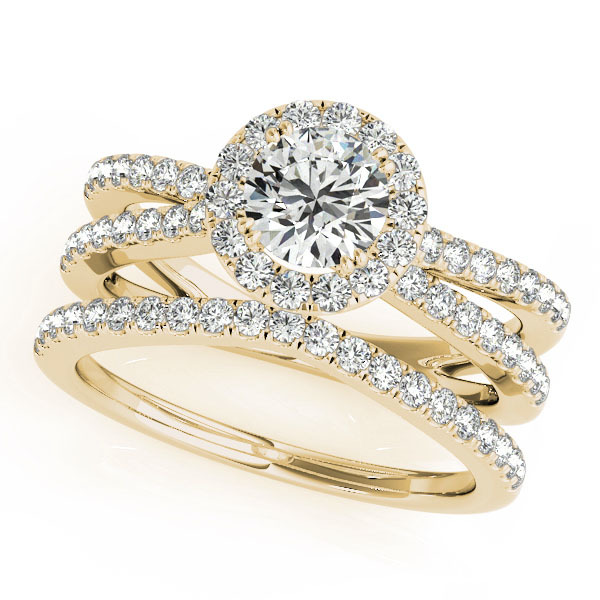 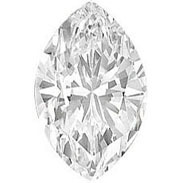 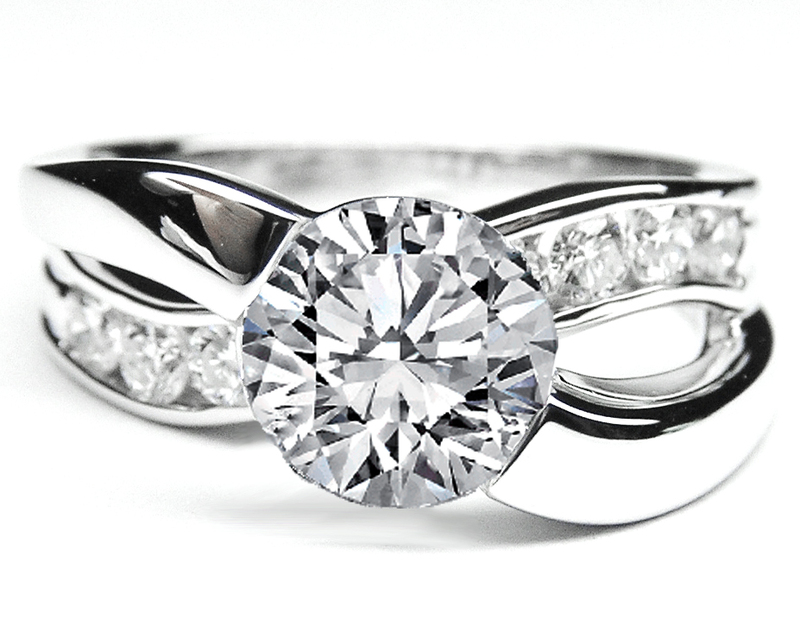 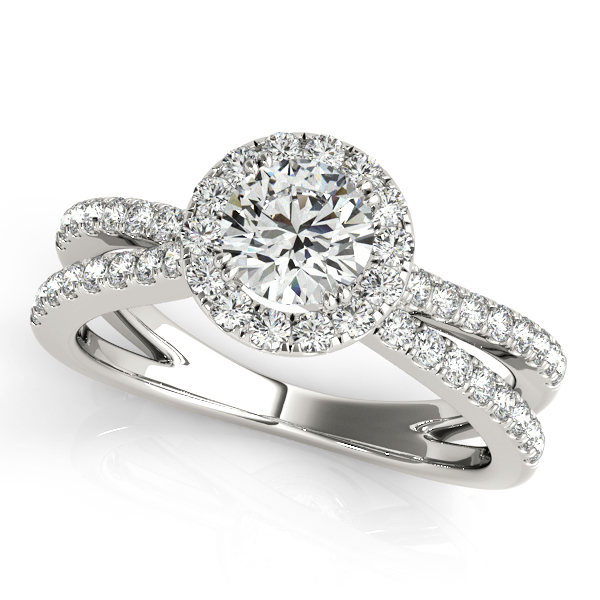 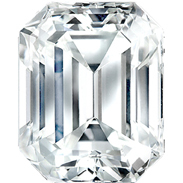 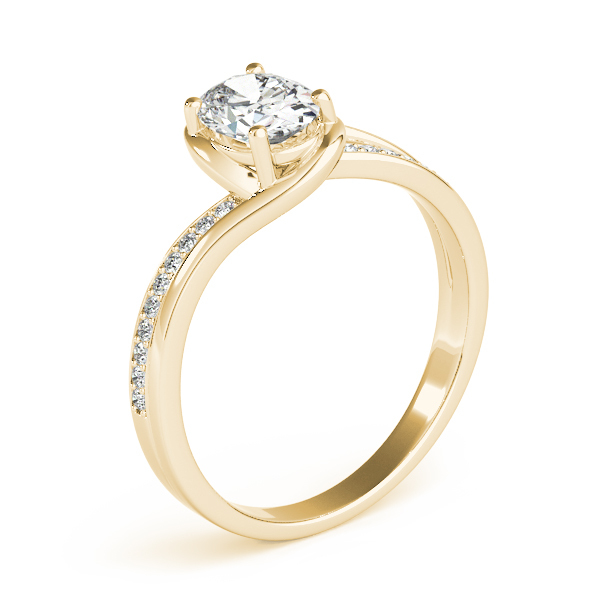 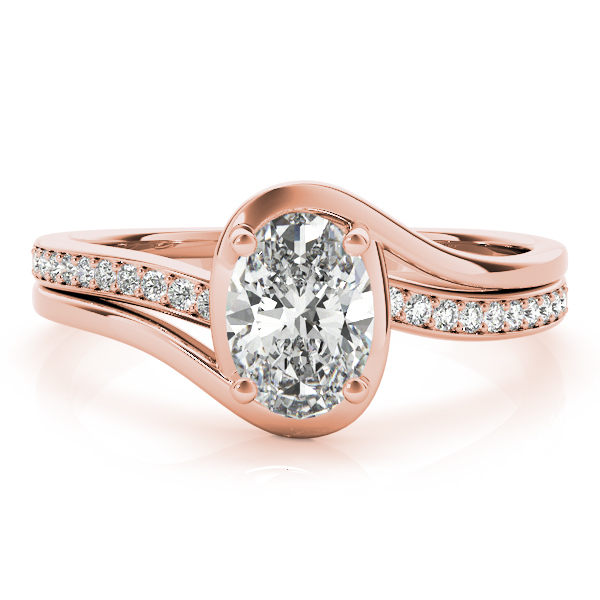 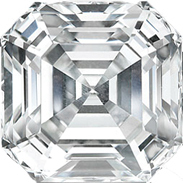 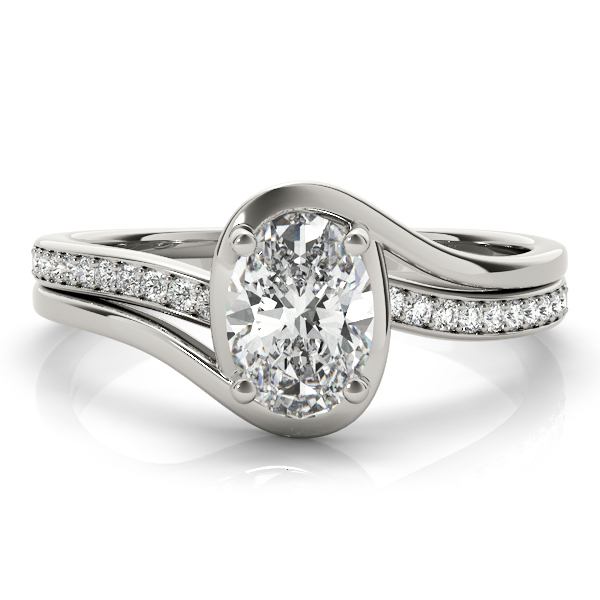 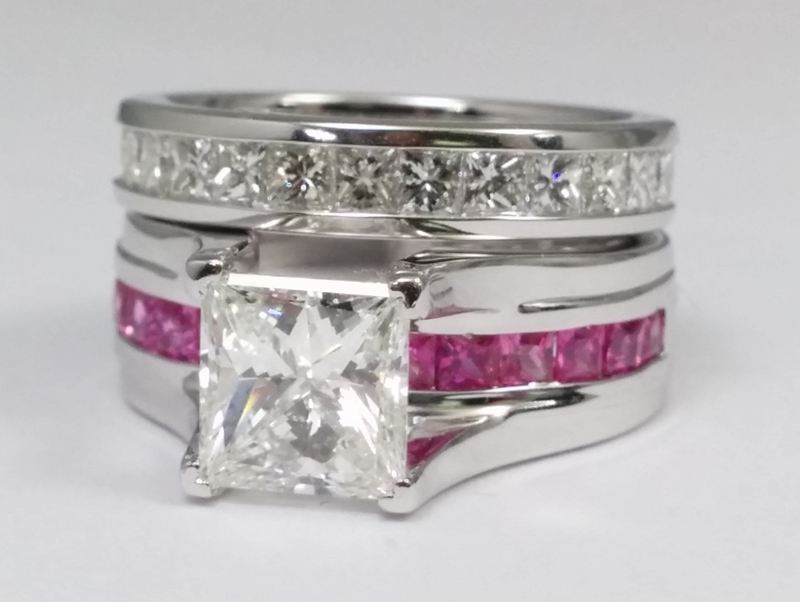 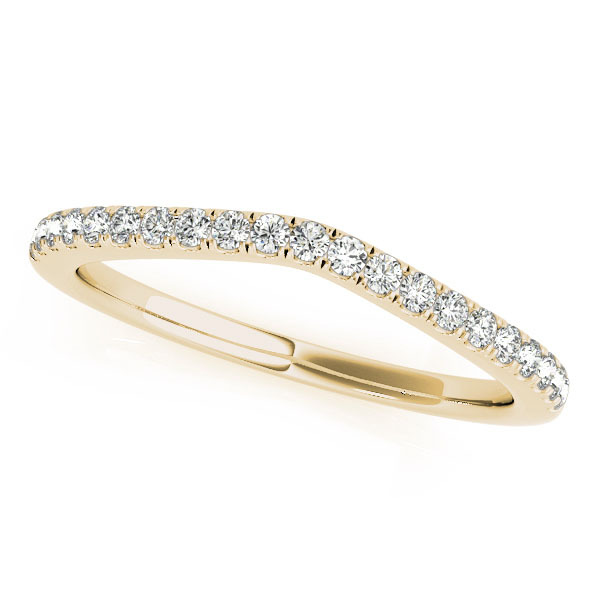 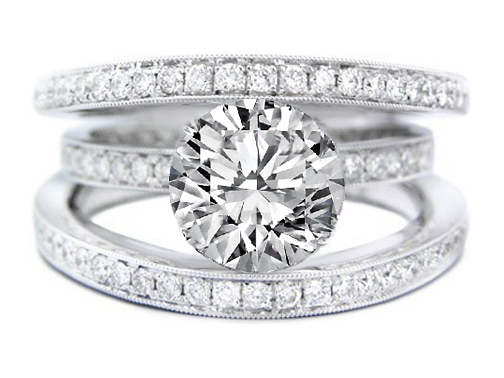 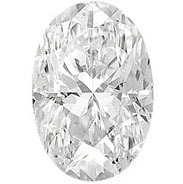 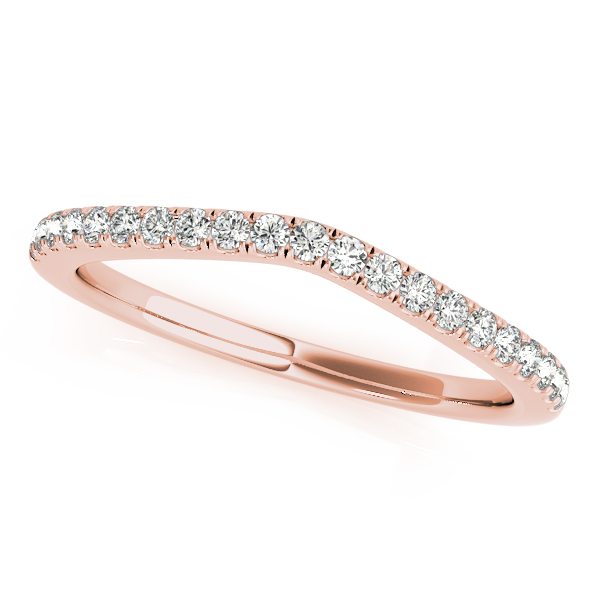 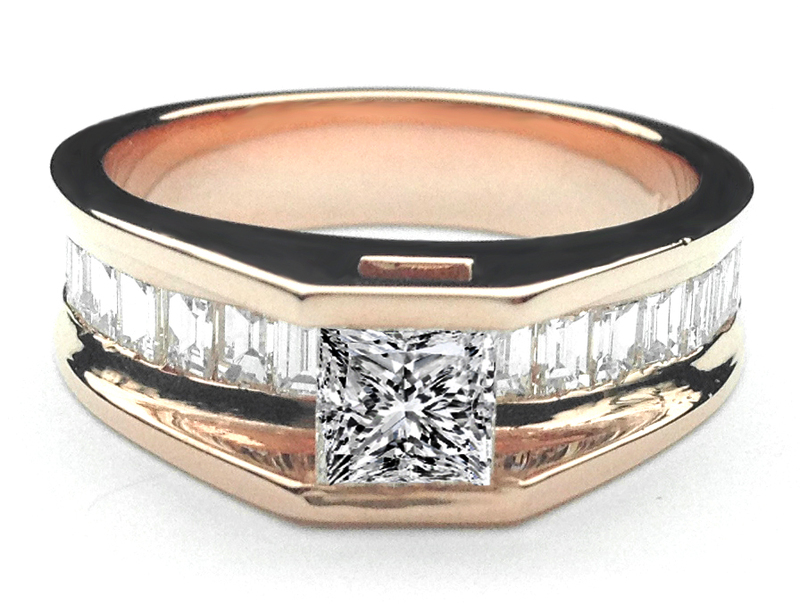 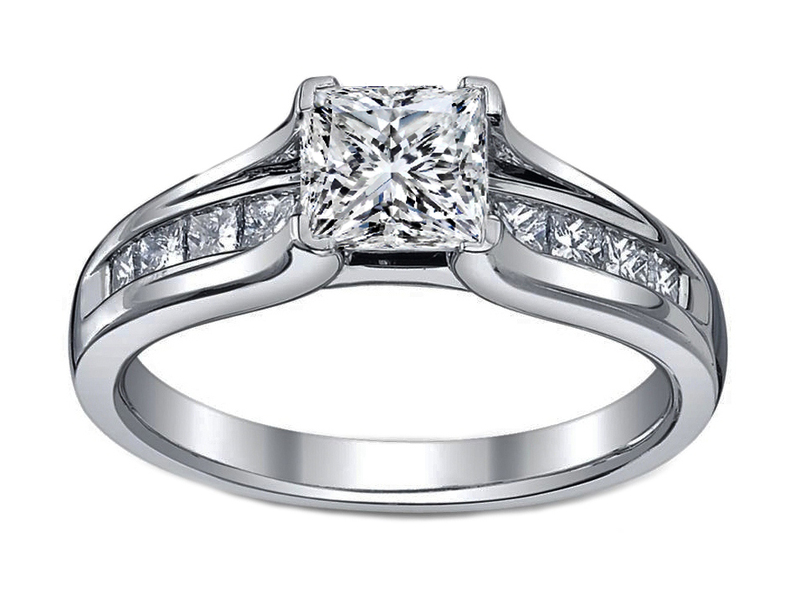 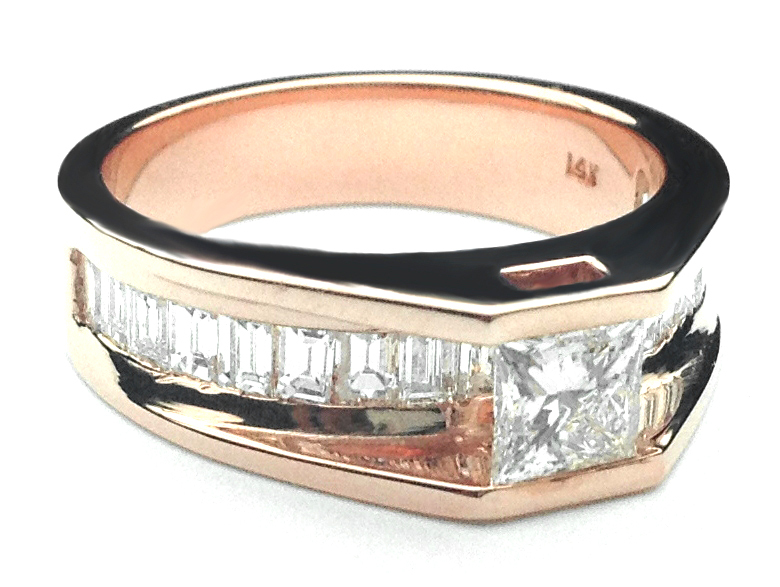 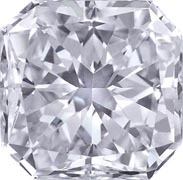 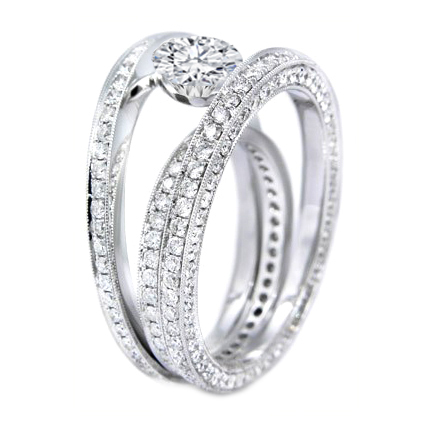 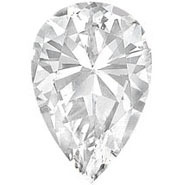 in the Bridge Engagement rings collections a row of channel set diamond is set under the center diamond. 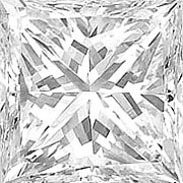 the center diamond is set above on top of the bridge. 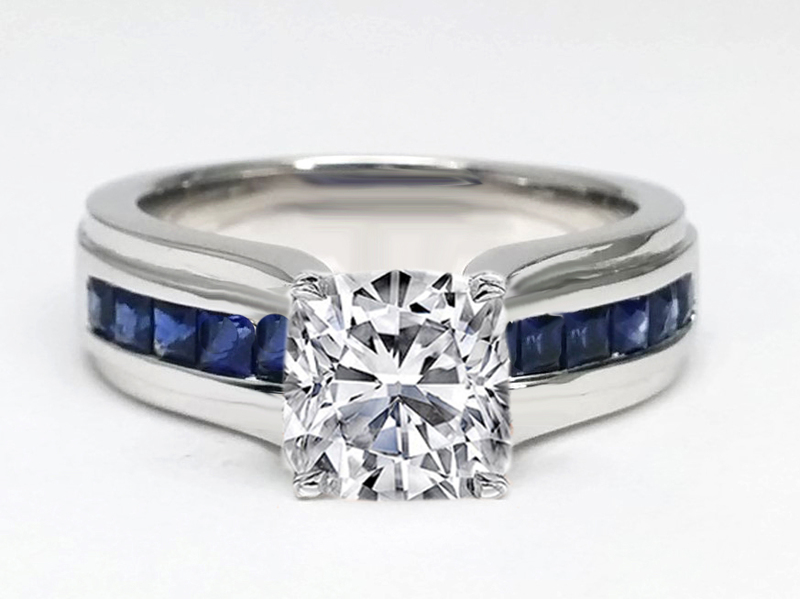 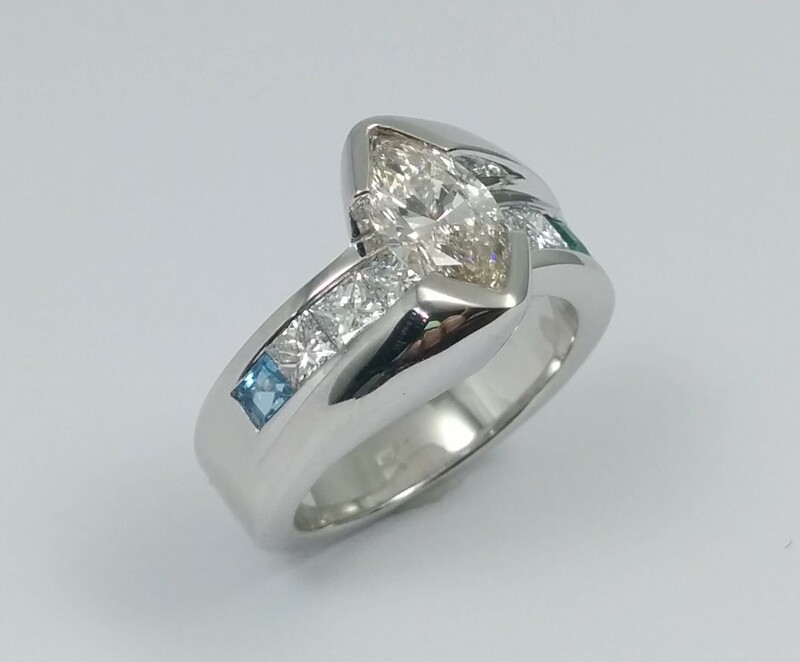 Cushion Diamond Bridge Engagement Ring with Blue Sapphire 0.90 tcw. 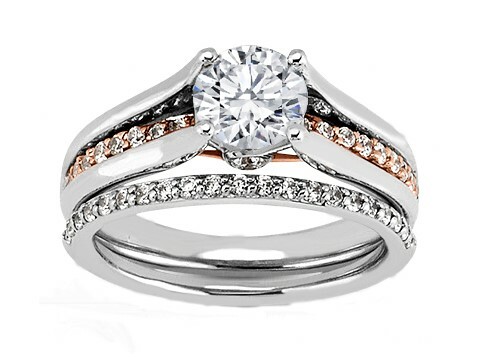 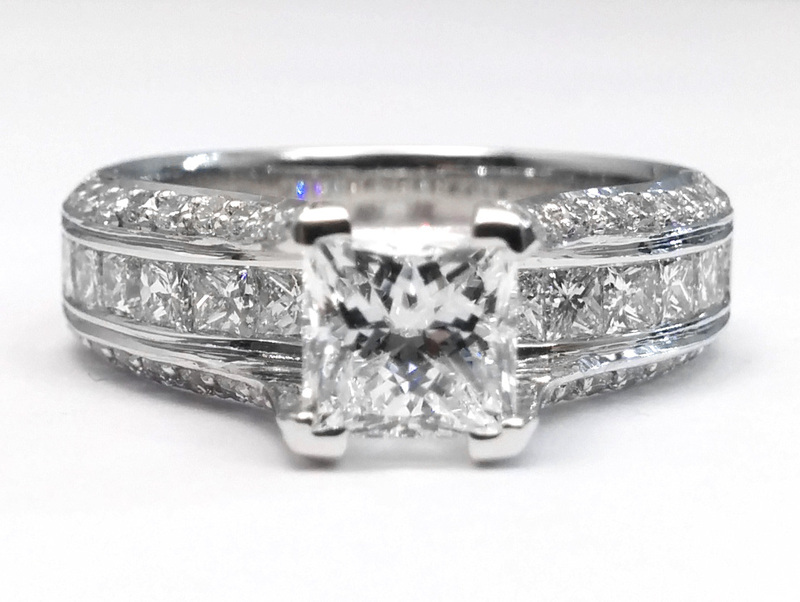 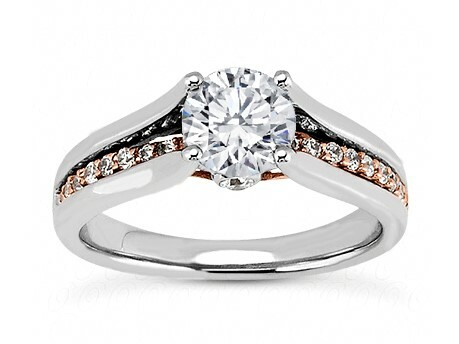 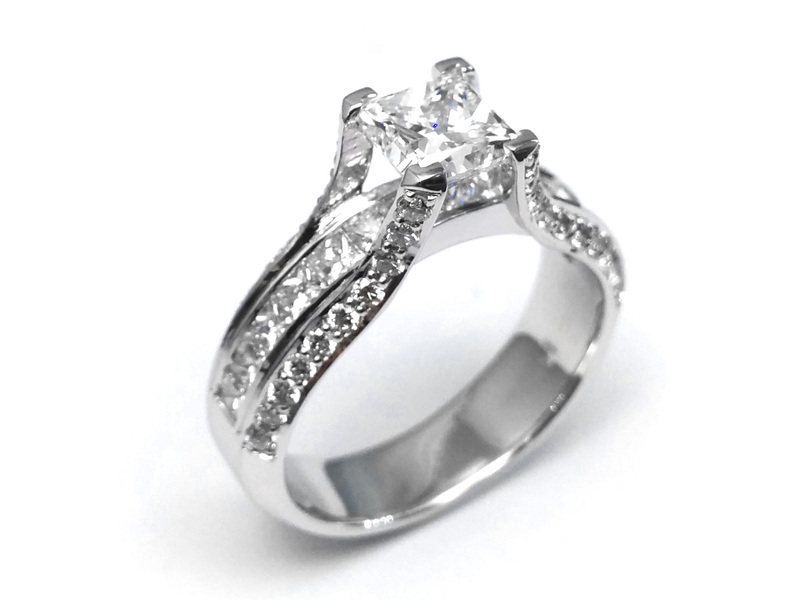 Princess Diamond Bridge Engagement Ring 1.10 tcw. 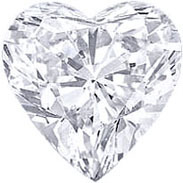 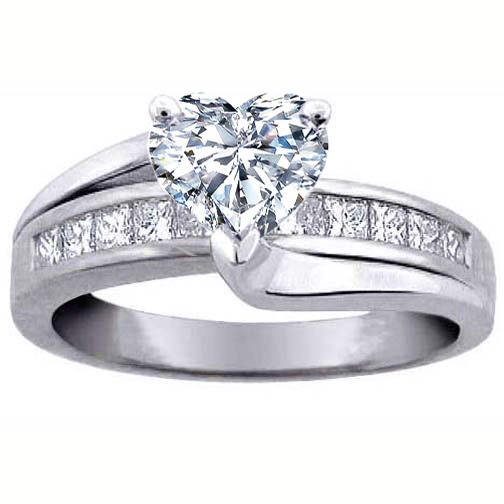 Heart Diamond Bridge Engagement Ring 0.59 tcw. 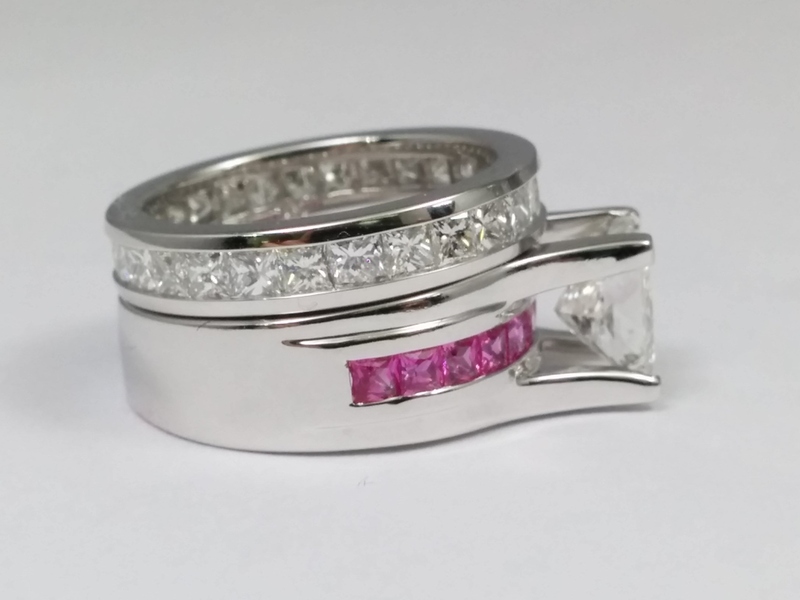 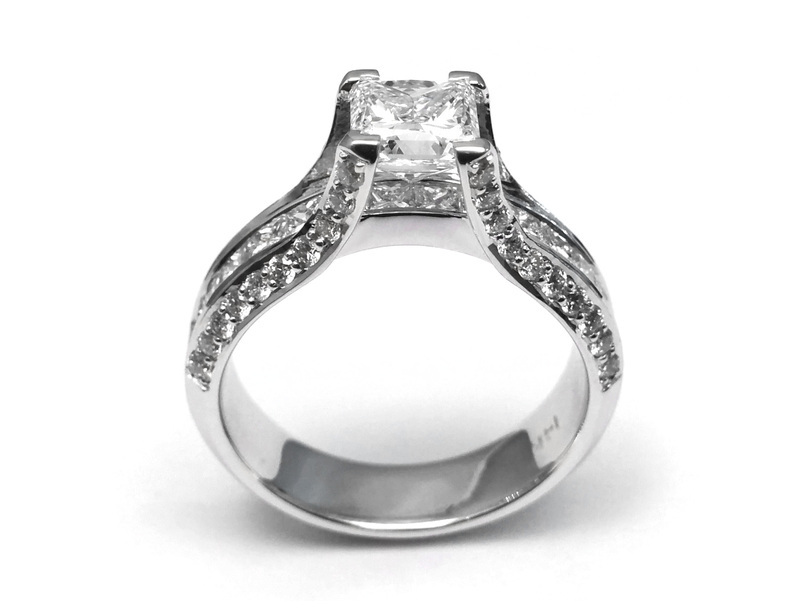 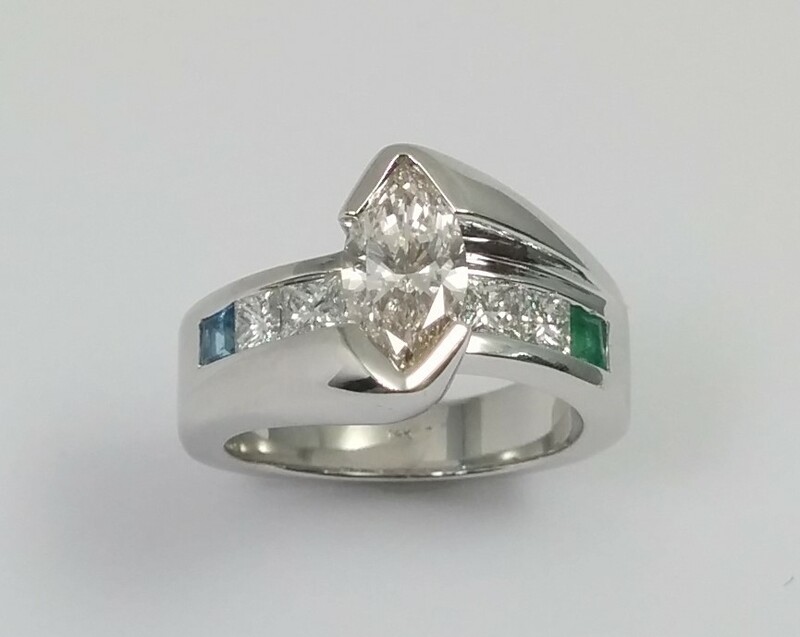 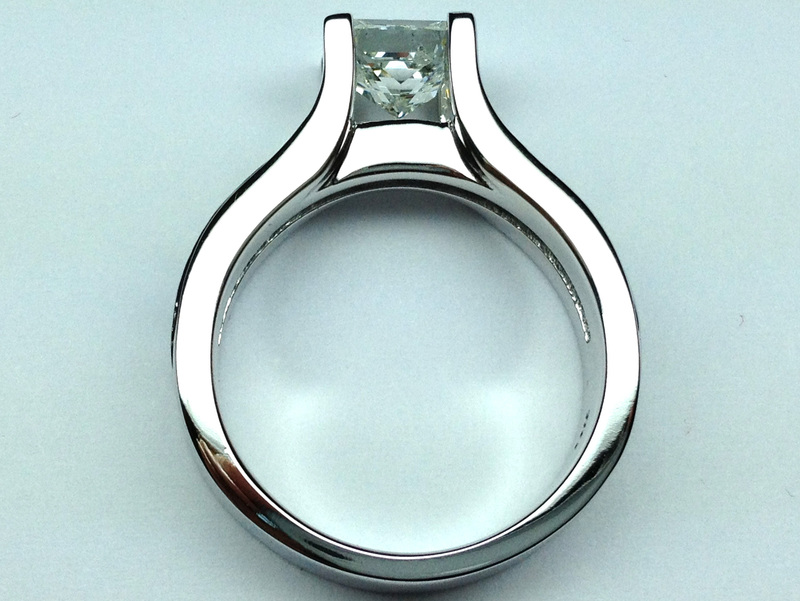 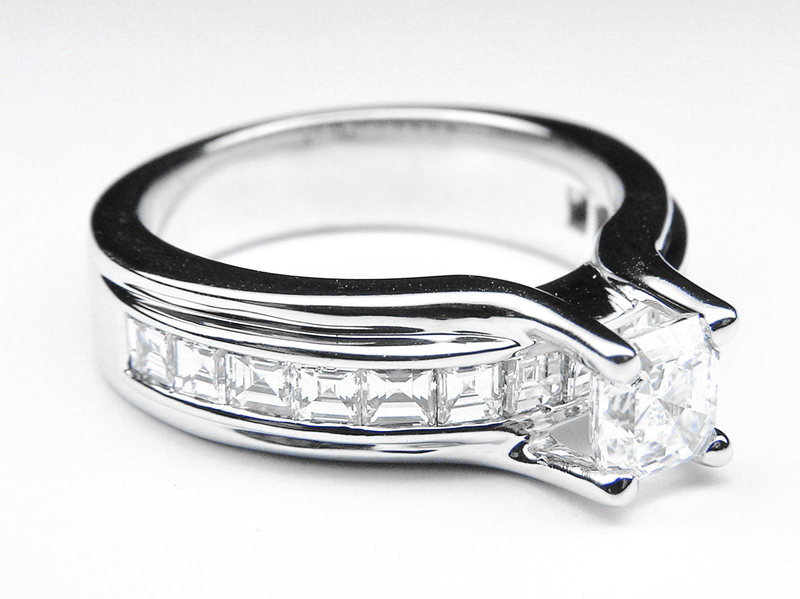 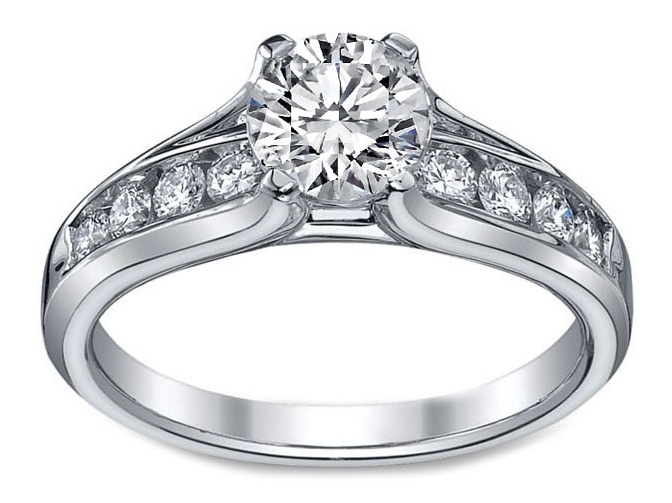 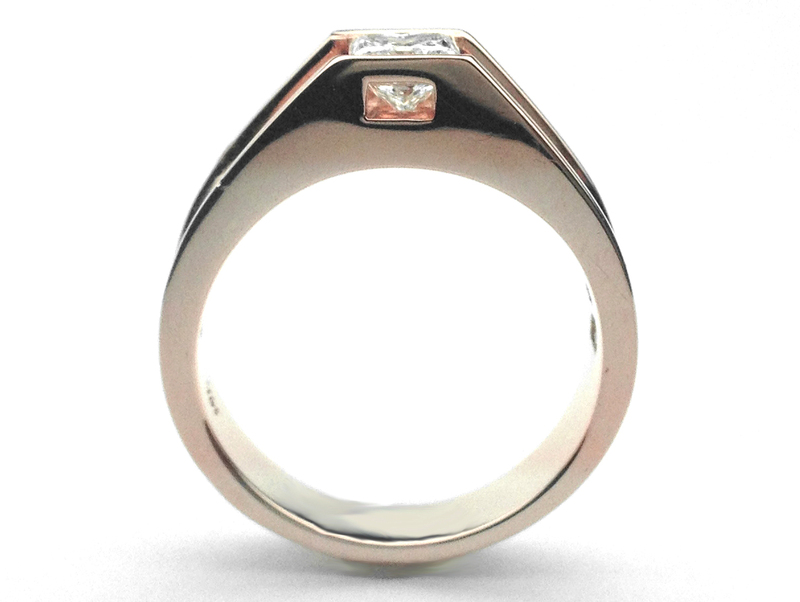 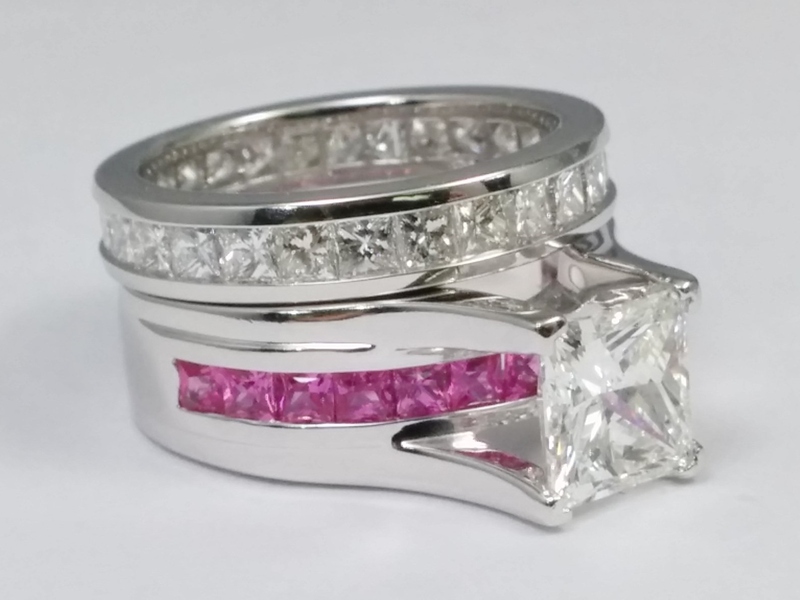 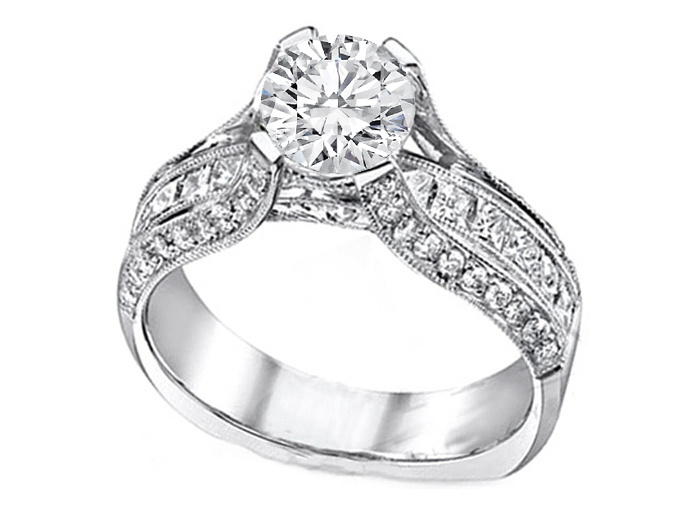 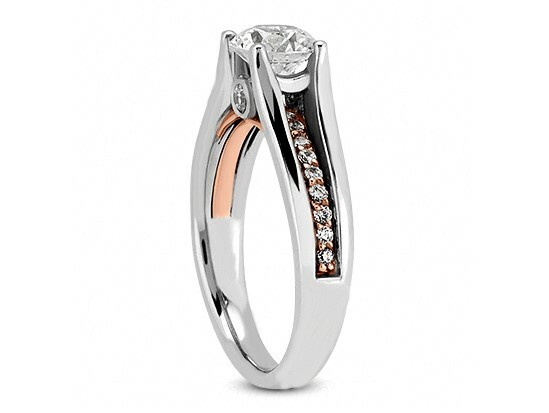 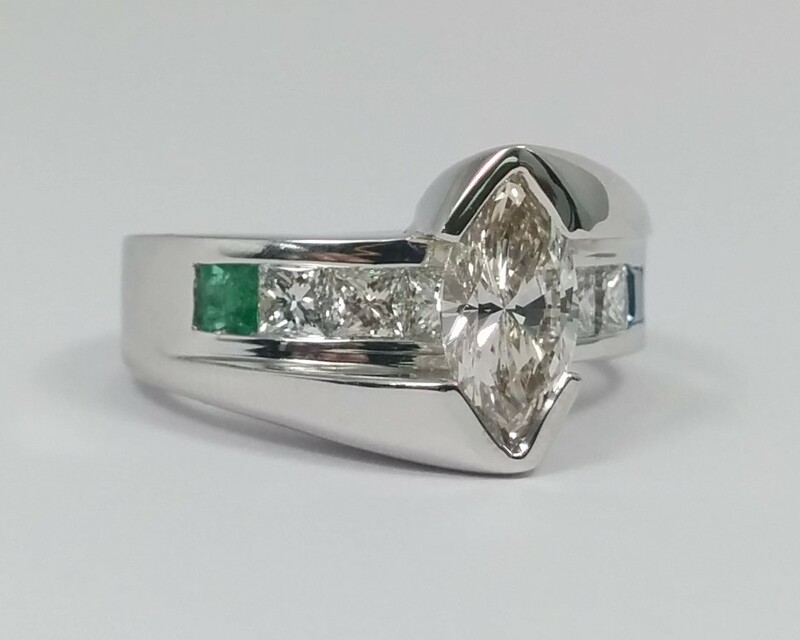 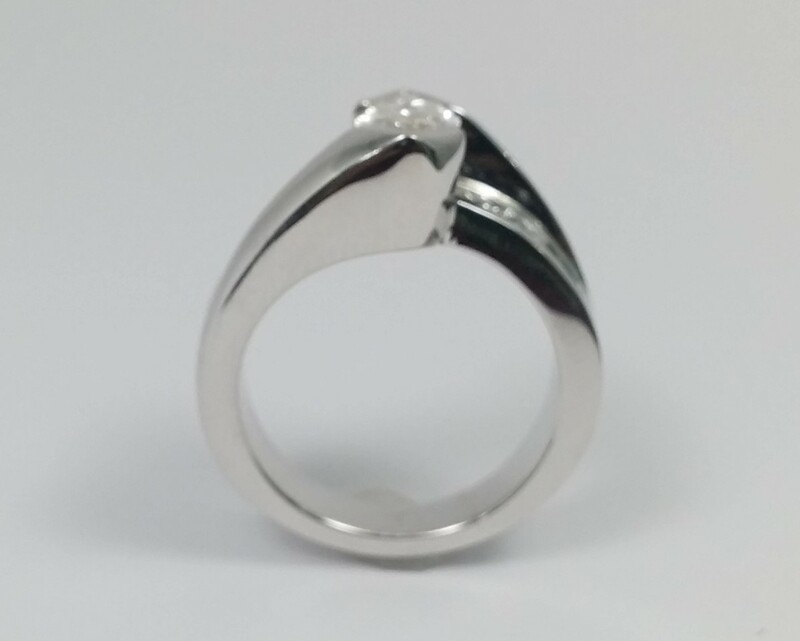 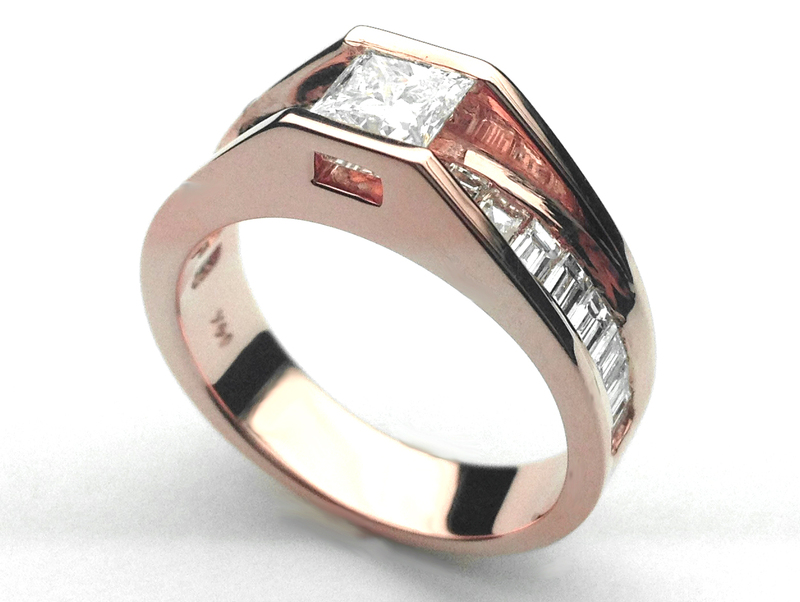 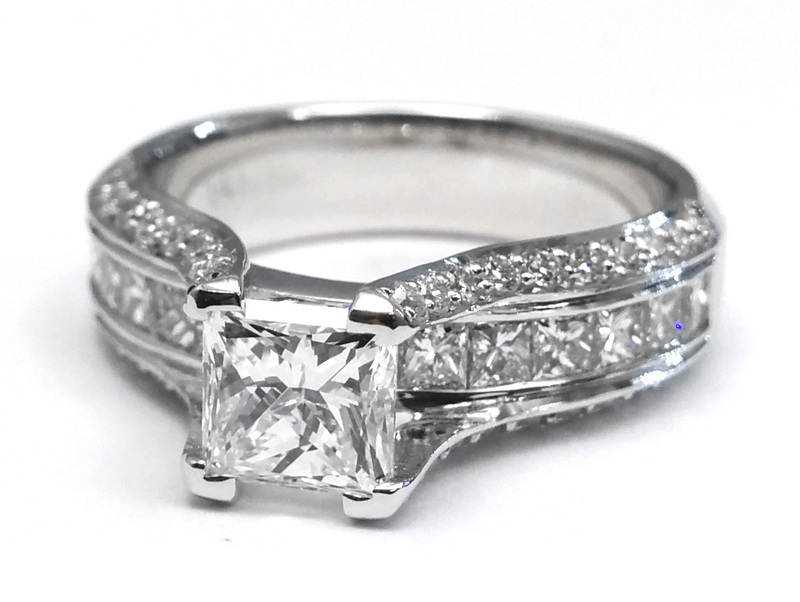 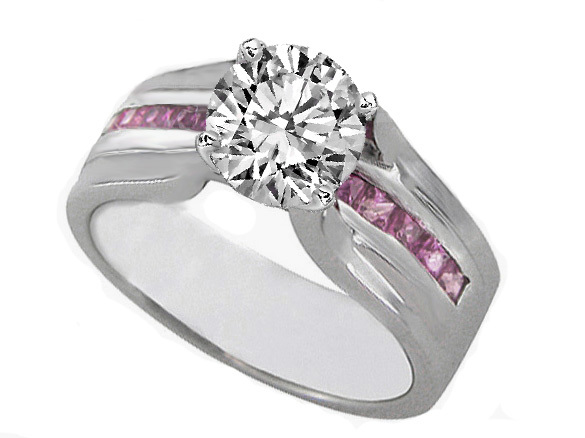 Diamond Bridge Engagement Ring 1.10 tcw. 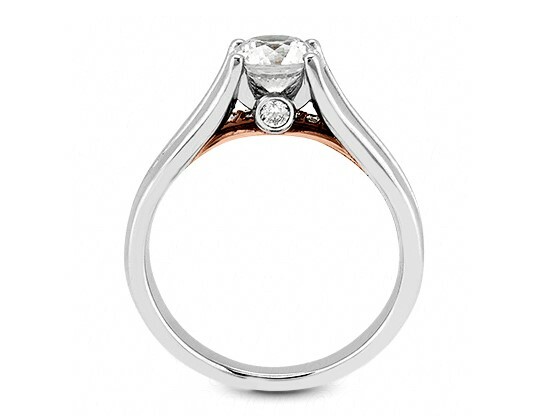 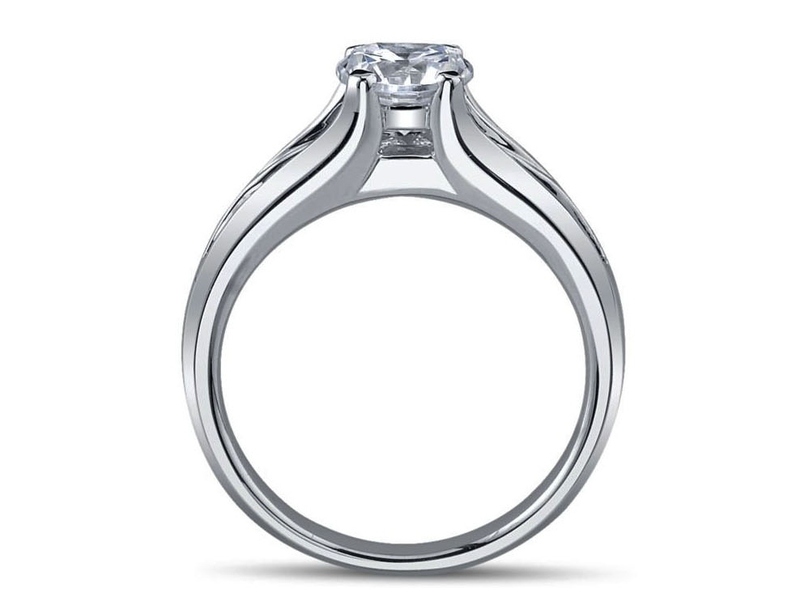 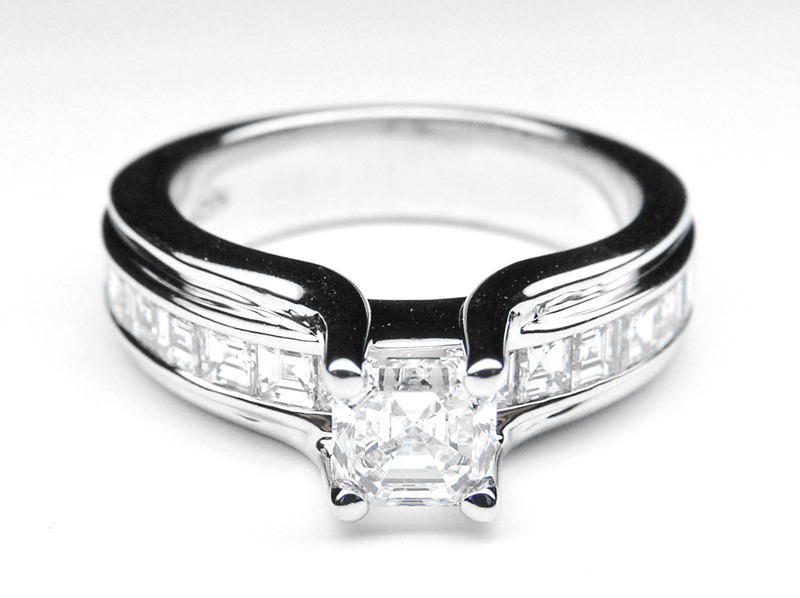 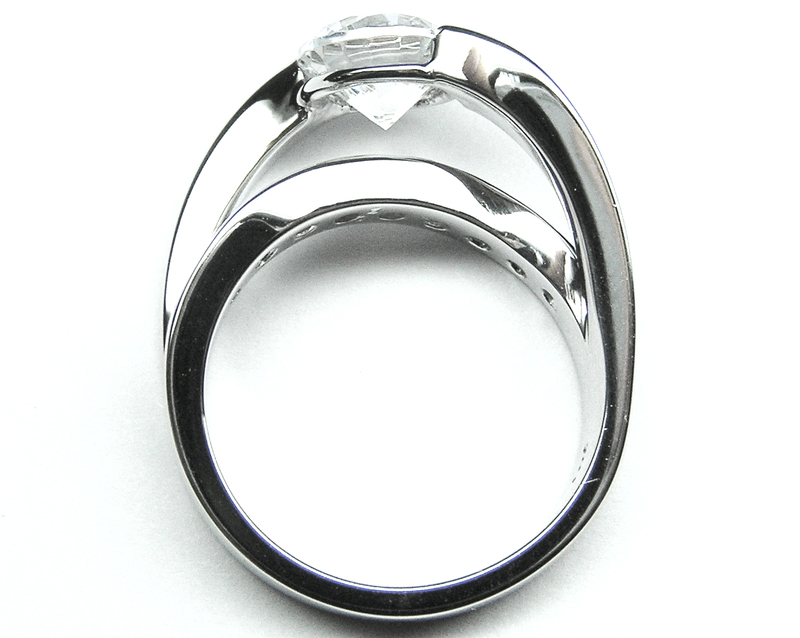 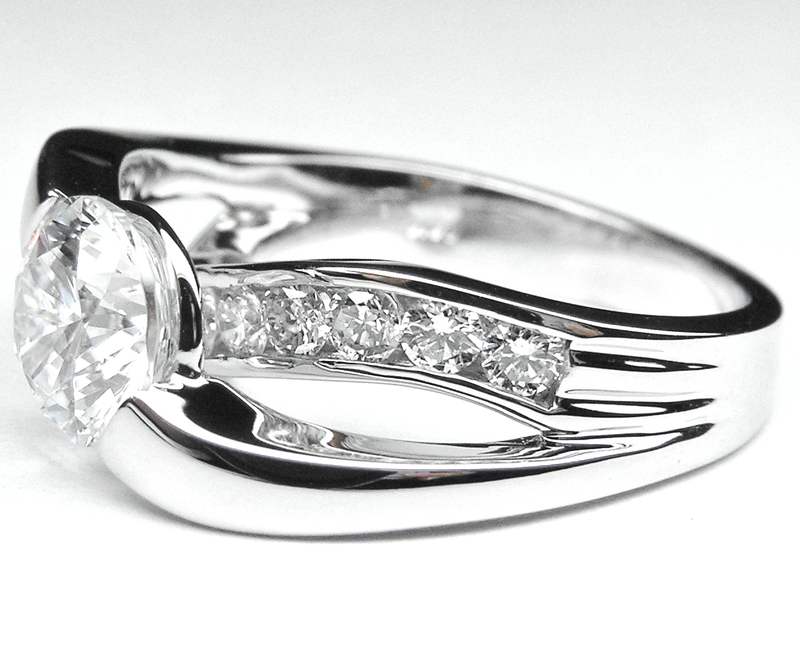 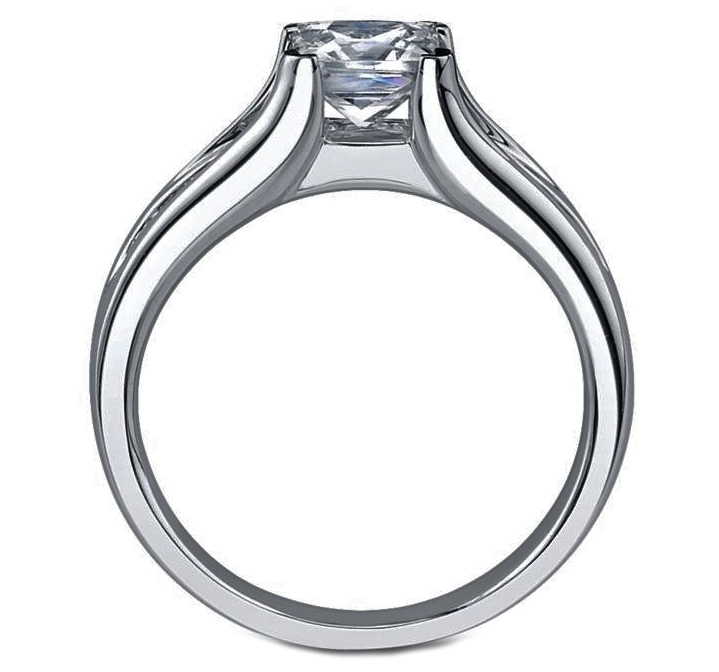 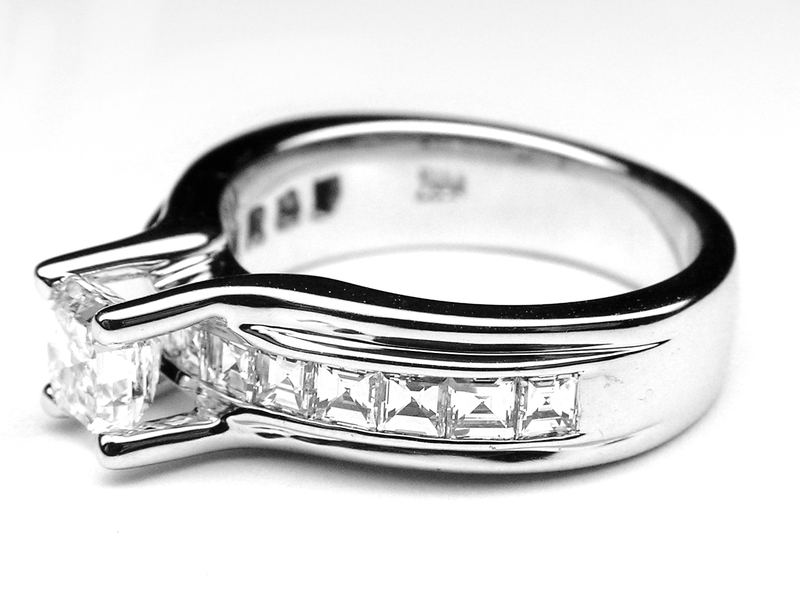 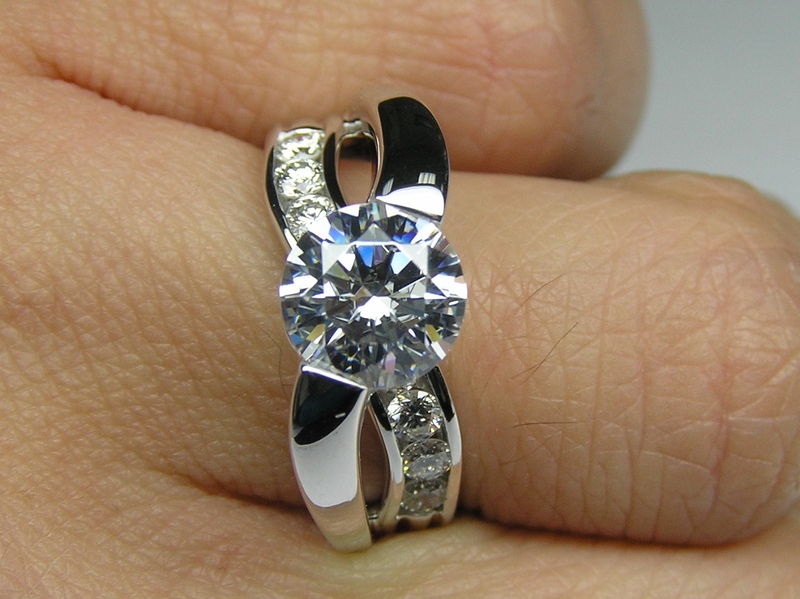 Criss-Cross Bypass Bridge Diamond Engagement Ring 0.50 tcw.